Former U10 world champion Sahaj Grover became India’s youngest International Master, winning the final round game against the higher-rated Nicolas Clery to finish fifth in the Le Touquet International Open Chess tournament. Sahaj was the cynosure of all eyes in a strong field comprising seven Grandmasters and eight International Masters. The class IX student started with two wins, including a spectacular effort against Grandmaster Vyacheslav Ikonnikov of Russia and five draws and a couple of more wins later, he assured himself of his sixth International Master norm which was inconsequential. 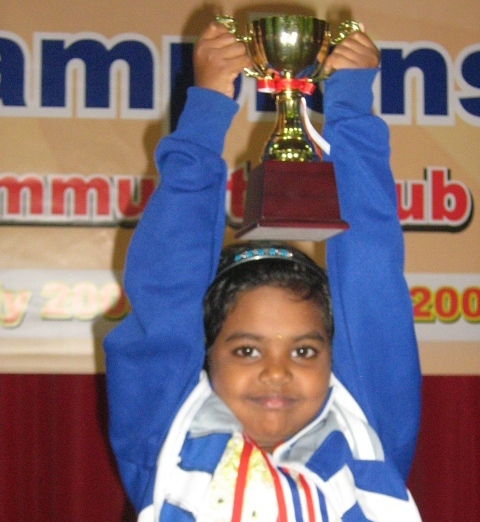 Though just 2288 as per ELO ratings of September 2009, Sahaj gained the required points to scale his rating well past the 2400 mark. 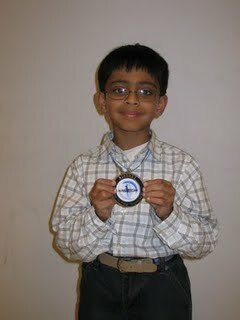 It was an easy ride for Sahaj after he won against Ikonikkov in the second round, which also got him the award for the best game of the day. A spate of draws followed, including one against eventual champion IM Jean Noel Riff, and in the last two rounds the 14-year old was in his element once again as he tormented Frenchman Christan Kieffer in the penultimate round and cruised past Nicolas Clery – ranked 86 points higher than him in current FIDE list – in his final effort. 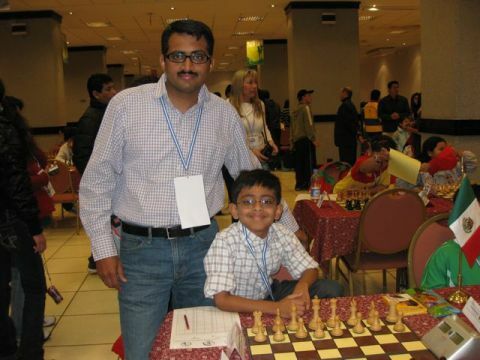 “It was a good tournament for me as I went unbeaten and got my second best result ever after the GM norm in Kolkata,” Sahaj said after winning the last round. Full article on The Times of India. Thanks to Jagdish Dube. Tanuj bags Gold at Pan-Am Youth with perfect score! youngest FIDE Master at 8 years 2 months and 3 days. Tanuj is preparing to play at the World Youth Chess Championship, which is starting next week in Kemer-Antalya. at the event with a tally of 5 gold, 2 silvers and 1 Bronze. Only a day after the 15-years old talent James Morris received his FM certificate from FIDE, he also clinched an IM title, informs Amiel Rosario. With a last round draw against IM Stephen Solomon at the Oceania Zonal, Melbourne’s young player is set to become the top young player of Australia. 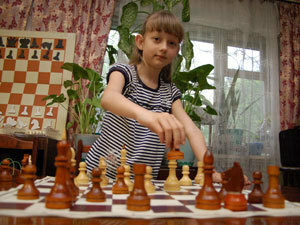 Alexandra Obolentseva, one of the top world girls talents, won the Russian U8 championship. The competition took place in Kostroma and finished on June 1st, Children’s day holiday. 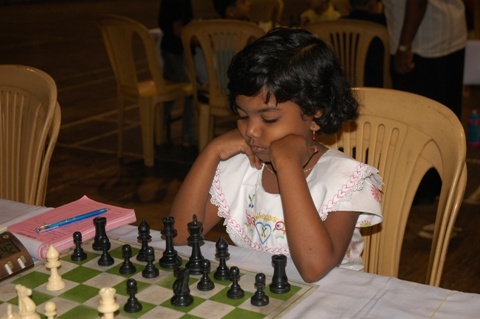 A total of 143 young players participated in the event. With seven victories and two draws Obolentseva finished top of the table. Alexandra Obolentseva is rolling in her age group. 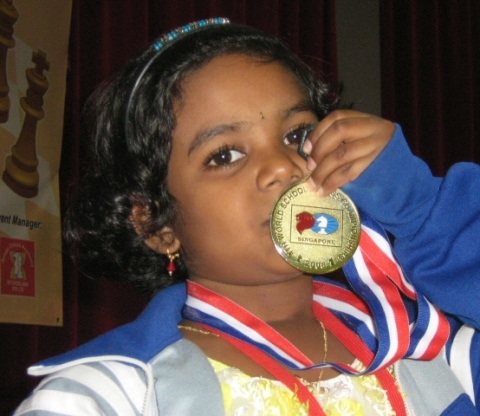 Just a month ago she won the first place in the World School Chess Championship for girls U8, and in the age group U9 she finished 5th, ahead of players with 2000+ ELO rating. Obolentseva has victories in the age groups of Moscow Open, Kosteniuk Cup, and many other prestigious competitions. 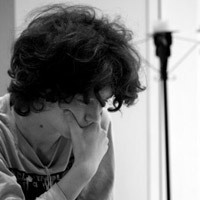 The next event for the young Russian chess talent is the World Youth Championships 2009 in Antalya, Turkey. 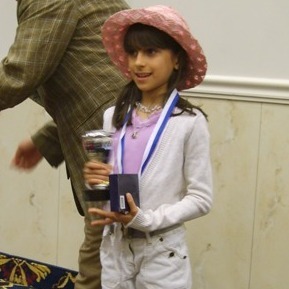 Nadya Ahmed Salah, a 9-years old girl from Yemen, was the only representative from Arabian nations present at the World School Chess Championship, which just finished in Thessaloniki. Without any support from the national chess federation or Ministry of Sports, and without ever having a coach, Nadya shined in Thessaloniki and won a bronze medal in the section Girls U9! 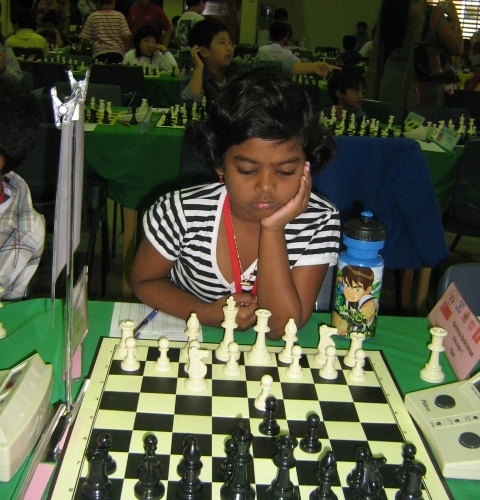 Her first real tournament was 2008 World Youth Chess Championship in Vietnam, where she finished 17th in the Group U8. 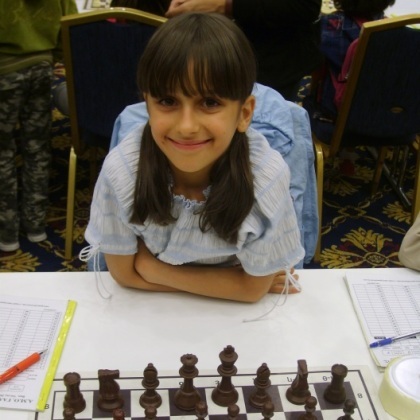 Feeling a great desire to play chess and compete with other kids, Nadya asked her father, Dr.Ahmed Mohsen Salah, to take her to the next available tournament – which happened to be World School Chess Championship. Dr.Ahmed left his hospital and traveled with daughter on their own family expense. Having never been a chess player, Dr.Ahmed is trying to learn as much as possible about the regulations, in order to avoid the awkward situation from Vietnam when Nadya first met with international time controls. 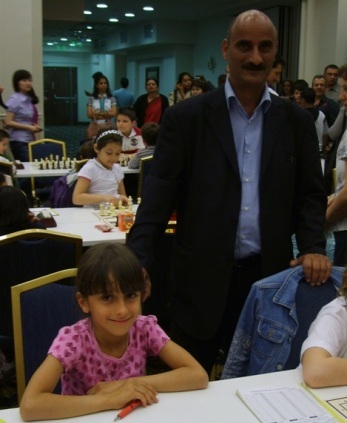 Even with a medal firmly clenched in her arm, Nadya declined father’s proposal to take a tour around Thessaloniki and insisted to play in the Sunday evening blitz tournament, together with 160 other people. Dr.Ahmed is desperately trying to provide a proper coaching for Nadya, the internet being his last resort. Nadya shares that her biggest problem is that at home she rarely finds decent opposition to play against. Last year Nadya finished 6th in Women’s national championship, but the Olympaid captain skipped her and invited a lower rated player to represent Yemen at the Dresden Chess Olympiad. For her next big tournament, World Youth in Antalya, Turkey, later this year, Nadya promised to attack the gold medal. We believe that she will succeed. Chardine Cheradee Camacho is one of the top female young chess talents in the Philippines, often qualified as the female version of Wesley So. She had a very successful 2007 and 2008 – a great performance at the U14 group of the 2007World Youth Chess Championship (the first time her name appeared on Chessdom.com), a nice 5th place at the 2008 World Youth Chess Championship in Vietnam, and a great play during the Olympiad in Dresden scoring 8,0/10, which brought her a WIM norm. 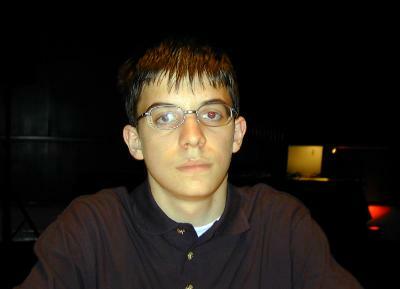 Maxime Vachier-Lagrave was born on 21st October, 1990 in Nogent-sur-Marne (France). He entered Mathematical University on October 2007. It was real challenge to compile the list of Maxime’s incredible accomplishments over the board. With the help of his father Patrick, we finally made it. 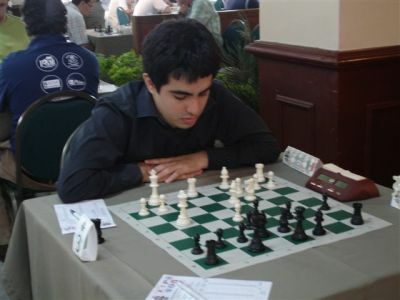 As promised few months ago in an interview for Chessdom, Manuel Leon Hoyos continued to play in fantastic shape, which earned him 2nd and final GM norm at the just finished Continental Championship in Cali, Columbia. Young Mexican star collected 7.5 points out of 11 rounds, having played against strong opposition like GMs Ehlvest, Akobian, Felgaer, Peralta, Vescovi, Granda, Spraggett and Rodriguez. 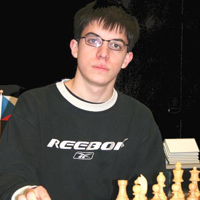 At the age of 18, Manuel Leon Hoyos is 5th and youngest Mexican Grandmaster. Mexican Chess Open, held in April this year, saw him grabbing first GM norm, and his rating will break the 2500 border on the next FIDE list. Wonderful news for the local chess fans on the eve of the World Chess Championship and another boost for the enraging chess fever. Hopefully, this fantastic talent will get a chance to play in strong round robin tournaments, and elevate himself to the super-GM heights. Manuel sent us his last round game against Canadian GM Kevin Spraggett and said he was particularly proud of the move 12.Ne4!